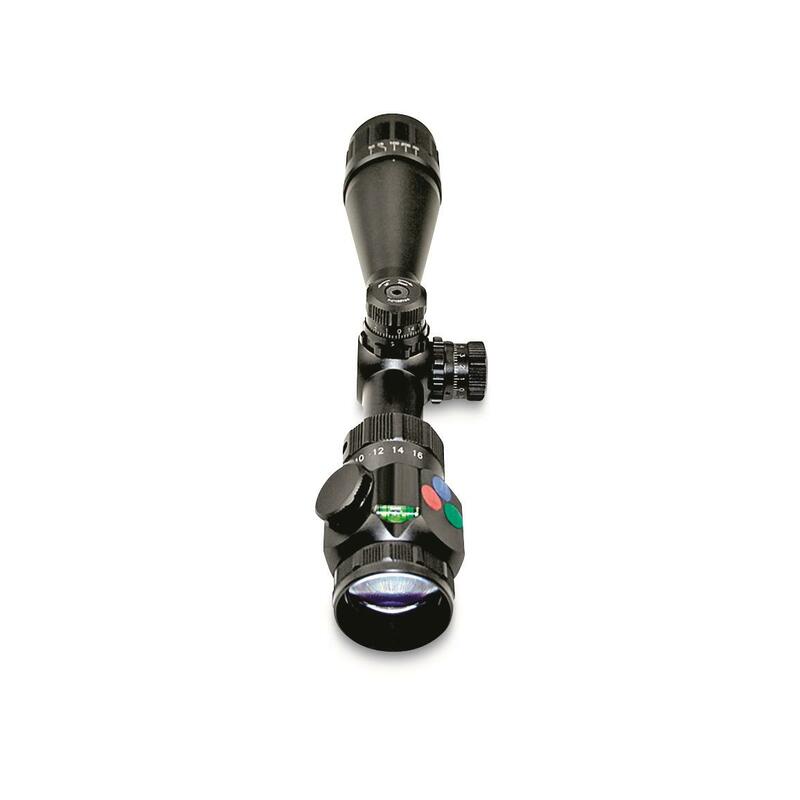 Get precise shooting from a more agile scope. Big game hunting can often benefit from lighter, more agile gear to accomplish the task of finding your trophy animal. The Sniper Eagle Series 4-16x40mm Riflescope with front AO lens fills the bill at a very affordable price. 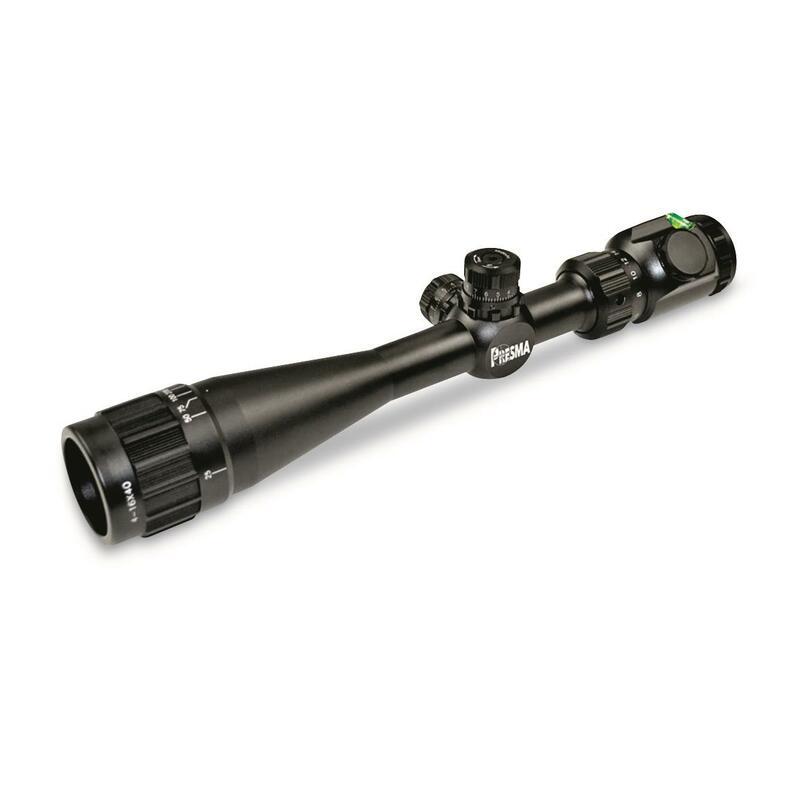 The Sniper Eagle's 12.9" length and 19.2 oz. weight promote better agility with your weapon and faster reaction time. 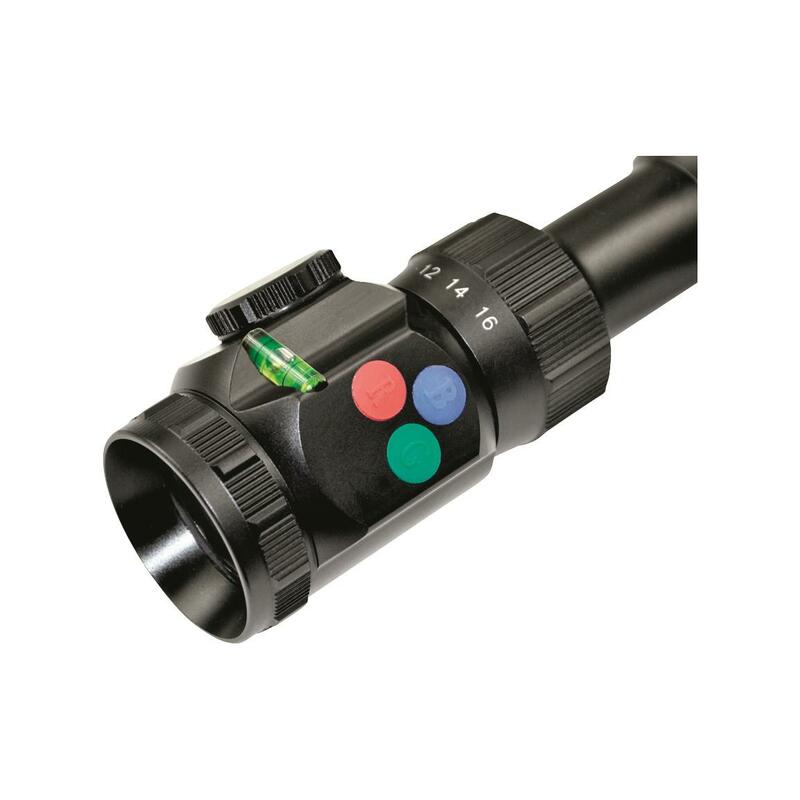 Fully multi-coated optics deliver clear views and sharp images, even in low light. 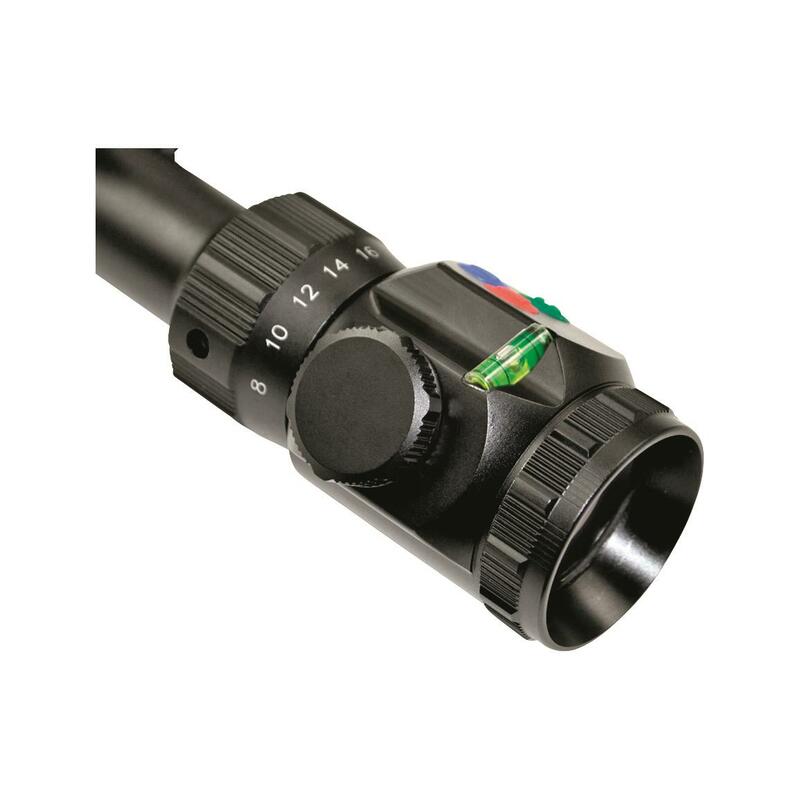 The illuminated Round X range-estimating reticle offers your choice of Red, Green or Blue, along with 11 levels brightness for adjusting to changing light conditions. 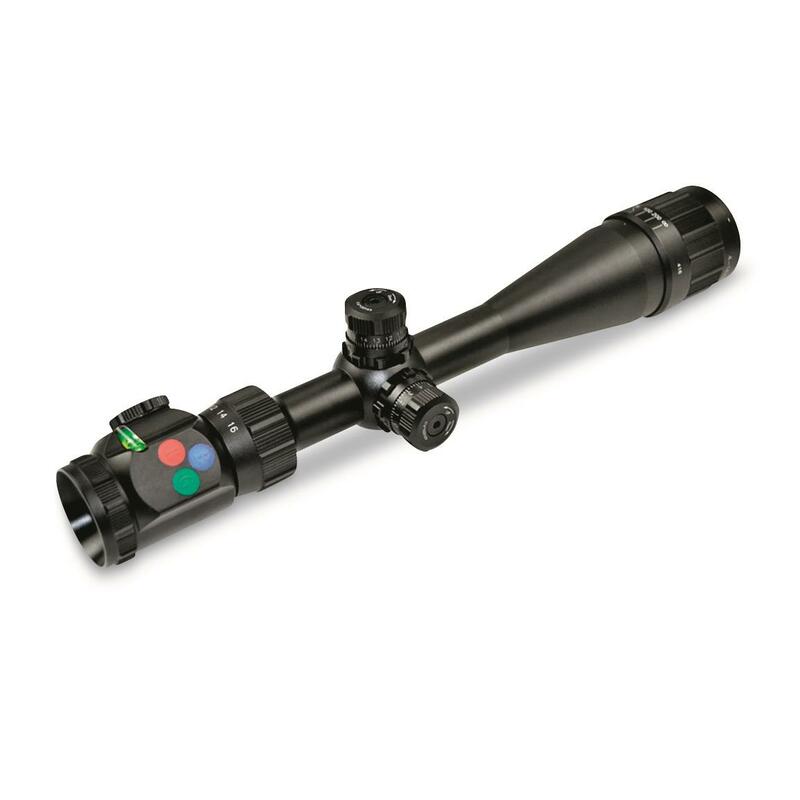 Plus, an integrated bubble levels helps prevent canting of your rifle that could cause you to miss the shot of a lifetime. 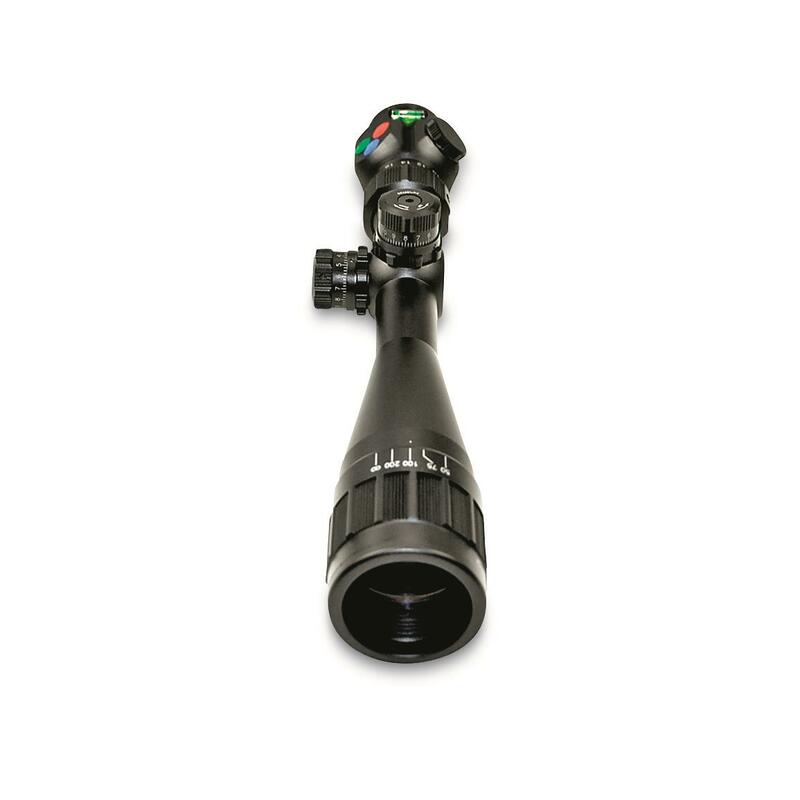 The Sniper Eagle features a 30mm one-piece tube built from aircraft-grade aluminum built on a strong cardan joint platform for rock-solid stability and shockproof performance. 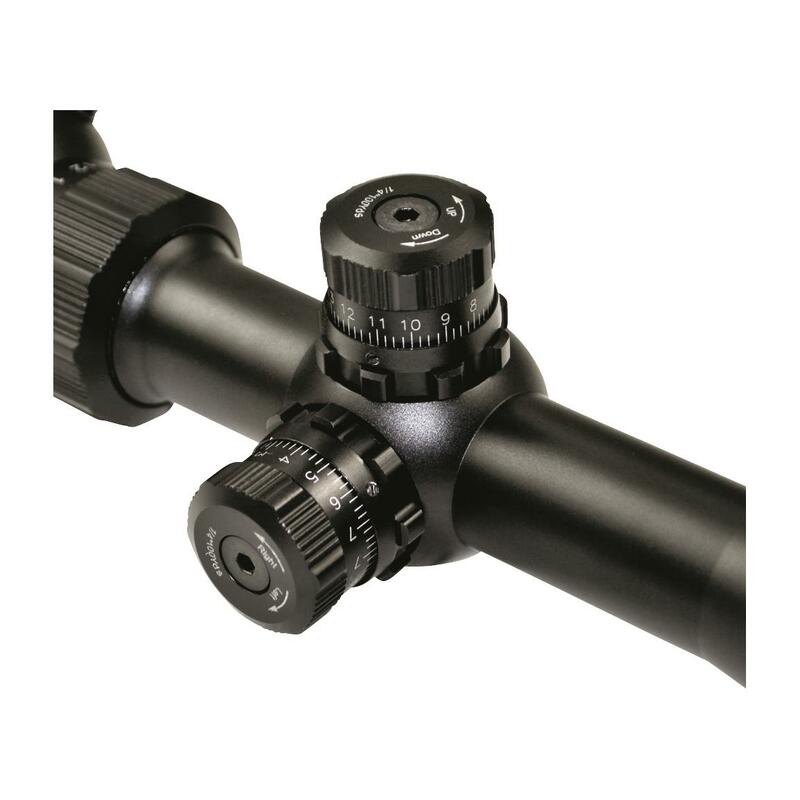 And it comes with a cantilever scope ring mount with quick release button for fast attachment / detachment to your rifle. 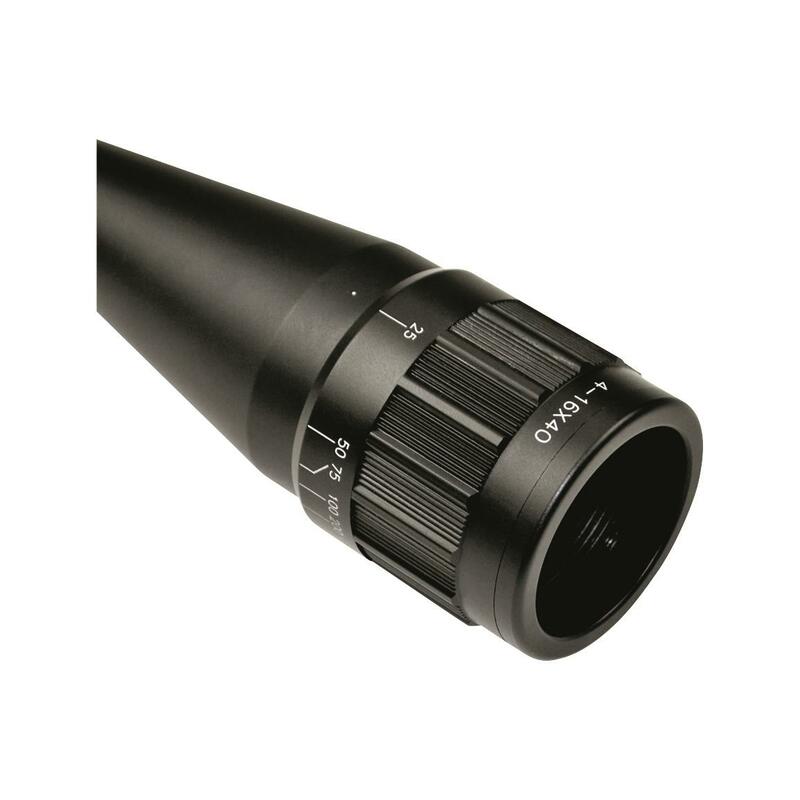 Eye Relief: 3.25" - 3.75"